Repairing homes is important work, and it’s the heart and soul of what we do. But we also reach out to our neighbors in other ways. With the help of our supporters, we educate community members on how to make their homes safer and healthier and ways to modify a home to safely age in place. We share our practical knowledge and advice with senior centers, housing expos and other workshops. We also partner with organizations and community groups to improve our neighborhoods. Sometimes a park may need sprucing up, or a USO center needs special repairs. 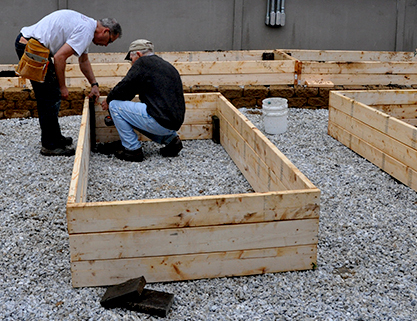 We work with dedicated volunteers to help make these community projects possible. Don’t hesitate to contact us for more information about our services, partners or our upcoming events.